As you step out of Telok Ayer MRT, you can see a prominent takeaway counter serving Thai Iced Milk Tea. 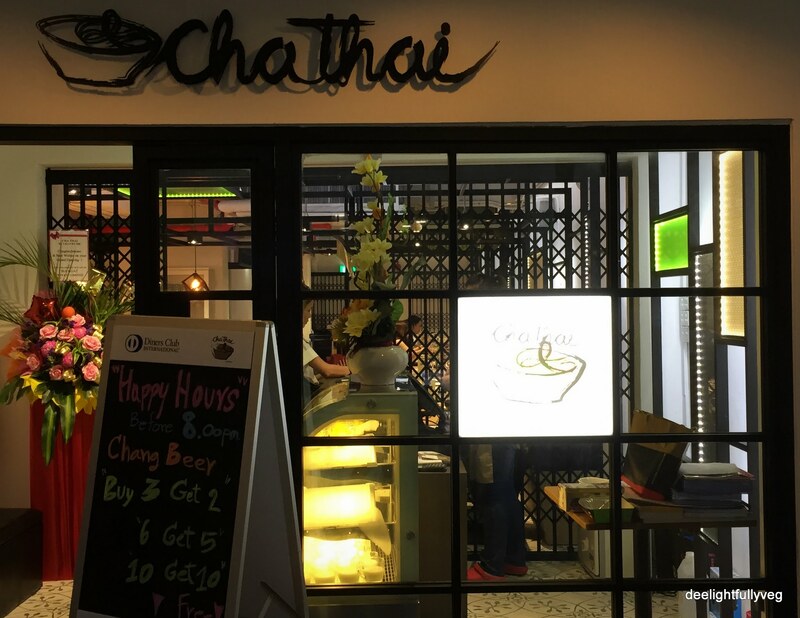 Next to is the entrance of Cha Thai restaurant which has recently opened – and is all set to woo you with its opening promotions and Thai cuisine. The restaurant has neat decor and is well-lit. Though their menu does not have too many vegetarian options, they were ready to customize it according to our eating preferences which was good. As a vegetarian, I like Thai food because of the abundance of vegetables and fruits in the dishes. So I ordered one of my favourite dishes which is the ‘Thai Green Curry’. Since it is not explicitly mentioned on the menu, you can ask for the vegetarian version which is then made separately by the chef. They are also nice enough to balance the tofu to vegetables ratio as per your preference. 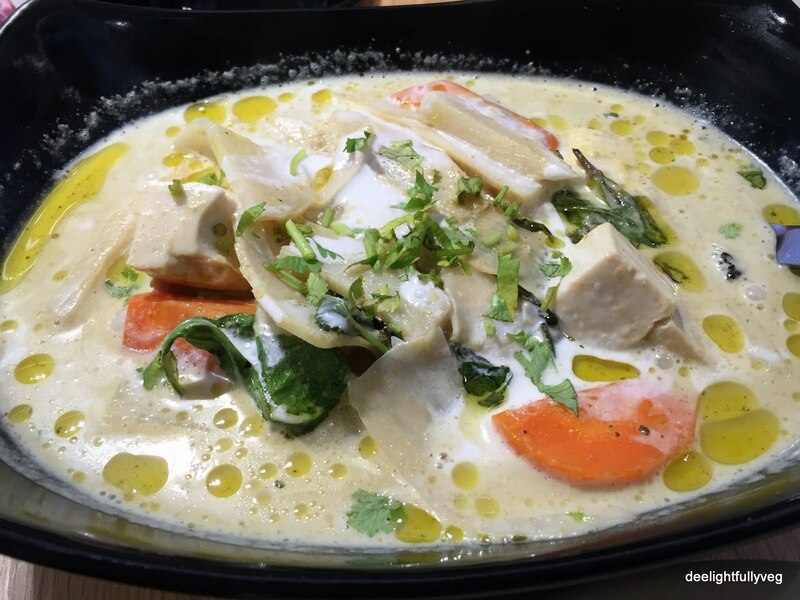 The green curry had thick coconut cream and was quite tasty and had sufficient veggies in it. The Thai jasmine rice has to be ordered separately. 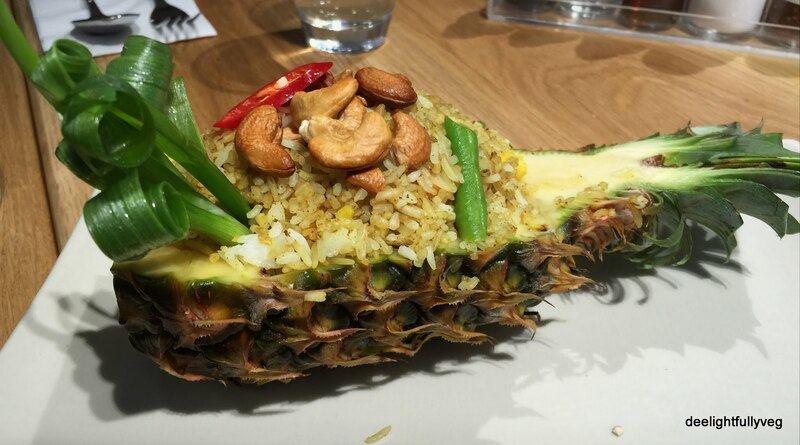 Next we ordered their ‘Baked Pineapple Rice’ which had immense visual appeal because of its presentation. Their rice is spiced with the curry, then baked and mixed with pineapples and roasted cashews. The rice was delicious and warm and can pair well with the green curry. 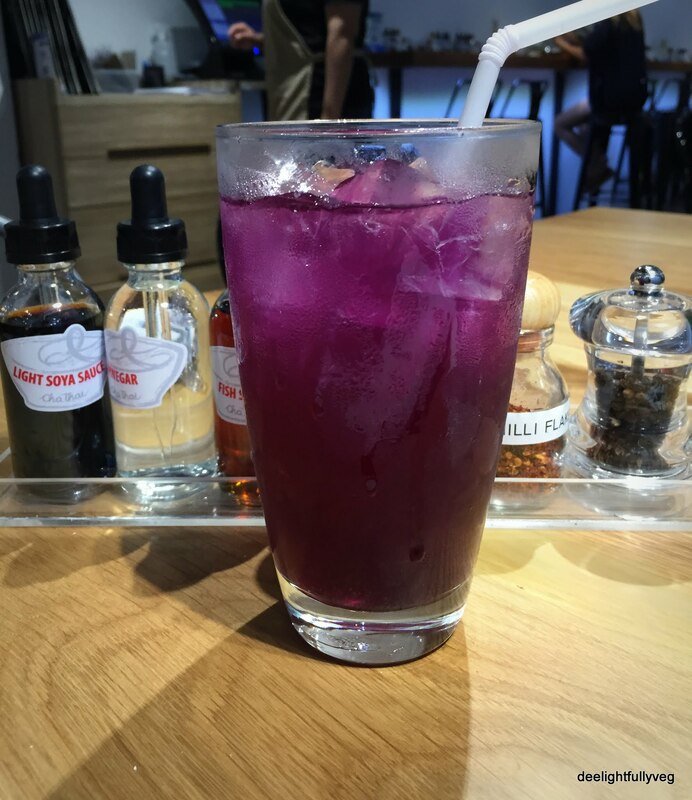 For the drinks, we ordered the ‘Butterfly Iced Pea Tea’ just because of its unusual name. The colour was a beautiful purple and the taste was a combination of sour and sweet. Nevertheless, it was refreshing. 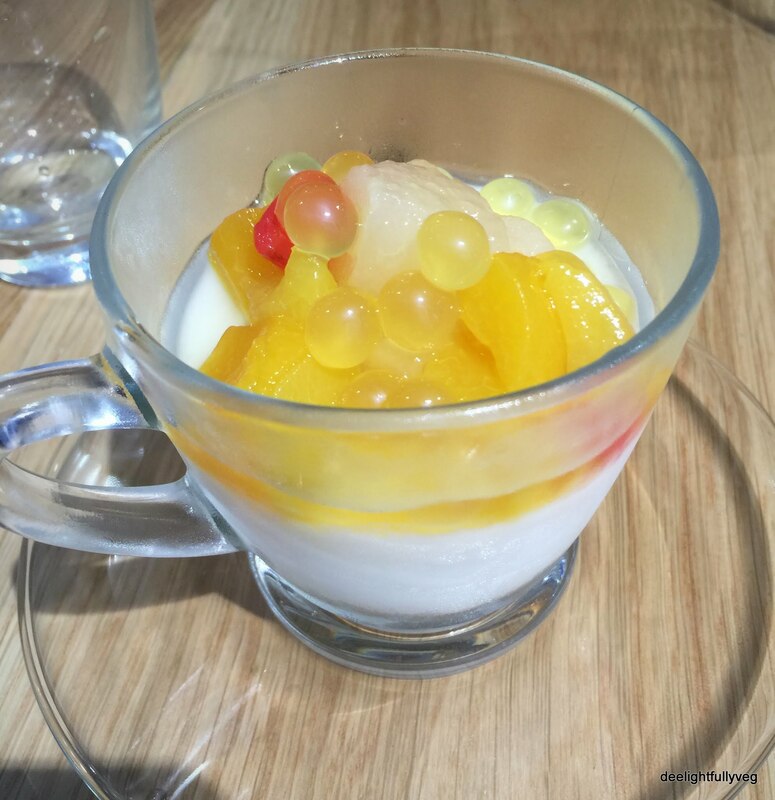 Since their kitchen was closing early before the long weekend, their dessert items were not available. They served us complimentary chilled ‘Jasmine Jelly with Fruit Cocktail’. Not much to write about the dessert as it was not that good. Since they are situated in the prime CBD area, their prices are quite high for Thai food offerings. If you work in the area, they have some combo lunch sets. On the whole, for delicious Thai food and friendly service, Cha Thai is worth a visit.